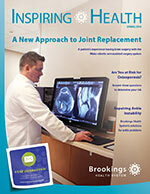 Brookings Health System accepts patient referrals from other providers for the following list of services. Please click on each service for information on how to refer a patient. If you have any questions, please contact Central Scheduling at (605) 696-8888 or the contact number listed for each service. Please fax the order to Central Scheduling at (605) 696-8889 or send a scanned, signed order to centralscheduling@brookingshealth.org. Questions may be directed to Central Scheduling at (605) 696-8888. 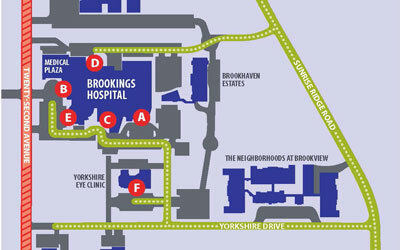 Please fax the information to Central Scheduling at (605) 696-8889 or e-mail centralscheduling@brookingshealth.org. Patients may also directly setup their own appointment by calling Central Scheduling at (605) 696-8888. Please fax the order to Home Services at (605) 696-8832. Questions may be directed to Home Health & Hospice Director at (605) 696-8090. Please fax the order to the Social Worker at (605) 696-8709 or call (605) 696-8714. Please fax the order to Rehab/Therapy Services at (605) 696-8820. Questions may be directed to Rehab/Therapy Services at (605) 696-8060. Patients may walk-in with a signed doctor order for lab work at any time. Walk-in patients should present their signed order to the Emergency Department receptionist. Please fax the order to Central Scheduling at (605) 696-8889 or send a scanned, signed order to centralscheduling@brookingshealth.org. Questions may be directed to Laboratory at (605) 696-8048. Swing Bed patient referrals can be made by calling the Case Management department at (605) 696-8016. You may also fax a patient referral to (605) 696-8803.